A. Better yet, we can provide personal references from past clients who traveled with us over the 23 years we’ve been open. Q. How many trips do you book a year? A. 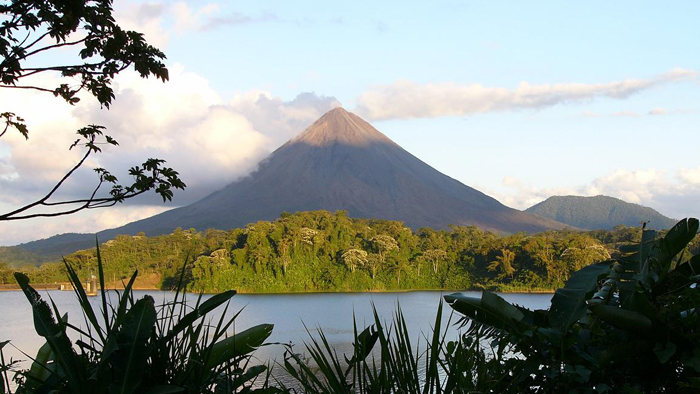 On average we book over 400 clients to Costa Rica every year. Q. Do you have referrals or satisfied customer remarks? A. Of course, write us and we’ll be happy to provide you with names and emails. Q. Kayaking sounds fun but we are novices. Is that a problem? A. There's no extensive experience required, but what is important is that you're in good physical shape, and have the right attitude. In any case your guide will learn from you and program the tour accordingly. Q. The last horseback ride I took was lame. How long are the trails and can we trot or run the horses or do the horses take us to spectacular views that make it more rewarding than hiking. Don't get me wrong, horses can be fun. But sometimes here in the U.S.A. they are preoccupied with injury and lawsuits that the ride is no more than a pony ride following in single file on "big ponies". A. You can get as adventurous as you'd like and your abilities allow. If there are open spaces and you wish to gallop then by all means do so. Unlike the U.S. here you're pretty much left to make your own decisions (within reason of course), and the emphasis is on personal responsibility. Q. We have heard much about the Osa Peninsula and Corcovado National Park that we were wondering what the differences are between staying OUTSIDE the park in Drake Bay versus trying to actually stay almost INSIDE the park. Could you give us some idea about what the environs are like at Drake Bay? A. There are no facilities inside the park boundary. Drake Bay and the Osa Peninsula are the kinds of places that conjure up the images most people have of Costa Rica--remote, rustic, and exquisitely beautiful, with beaches, crystal-blue water, primary jungle, scores of red macaws, pelicans, more monkeys than you'll see anywhere else in the country, and plenty of activities like sportfishing, snorkeling, scuba diving, and ocean kayaking. One of the best things about Drake Bay is getting there. The scenic flight along the Pacific coastline from San Jose, the bus ride through endless banana plantations to Sierpe, and from there the trip down the Rio Sierpe(about 1 hour) until bursting out into the sometimes slightly treacherous river mouth/bay. A. Manuel Antonio is incredibly beautiful and offers a combination of activities and scenery not found elsewhere. However, if a beach front setting is what you have in mind this might not be the place, since there are no beach front hotels there. The free beach at the entrance to the park is nice but not as nice as the ones inside. Q. What is the climate like and when is the best time to visit? A. Costa Rica and Nicaragua have the same seasons but Nicaragua's climate for the most part is much warmer. Costa Ria has almost ideal conditions year-round, the climate is a moderate 72 degrees in the highlands, while the lowlands and coastal areas range from the low 70's to the high 90's. Evenings in San Jose are free of humid heat, and beaches are cooled by ocean breezes. Rainy season occurs from the end of May to November, with the heaviest rainfall in October. The Atlantic or Caribbean side is driest from February thru April, with a short "summer" in June and July, and the wettest months from November thru January. However, you should be prepared for rain at any time during the year in this part of the country. The Pacific side and central parts of the country are driest from January through March. Nicaragua enjoys an avg. temperature of 27 degrees celsius (80 degrees F) year round with two seasons; rainy (green) and dry (summer). Rainy season occurs from mid-May to mid-November, and summer from late November to early May. The hottest time of the year is at the end of the summer, from March to May, while the coolest periods are from October to January. 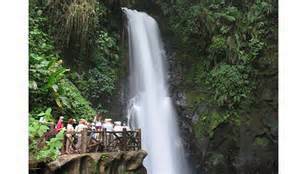 The most pleasant months to visit Nicaragua are from June to January, unless visiting the San Juan River and Solintename rain forest areas, in which case July, August and December - March are best. Q. Do I need a passport to travel to Costa Rica and or Nicaragua? A. Yes, a valid passport is required to enter and visas are needed for certain nationalities so check ahead before traveling. The citizens of the following nationalities can stay for 90 days without a visa. A.Yes, you can drink the water! Pure and suitable for drinking throughout most of the country. Q. Whom and how much should I tip? A. Upon arriving at the airport, tip the standard porter rate of $1 per bag; more if your luggage is very heavy. When you arrive at your hotel after a long flight, first things first: If you take a shuttle van, tip the driver $2 per person. The bellman, who will be more than happy to assist you with your bags and the door, should receive $1 to $2 per bag. Tip when he shows you to your room and again if he assists you upon checkout. Tip more if he provides any additional service. If you're taking a tour, tip a local guide $5 per person for a half-day tour, $8 for full-day tour. Tip a private guide more. If you are on a multi-day tour with someone who travels with you for several days and is essentially in charge - tip them anywhere from $10–$20 per person per day. All restaurants in Costa Rica include a 10% "service charge" on the bill but if the service is exemplary an additional 5 - 10% should be considered. This tipping etiquette will hopefully give you a general idea of the standard tipping rate for different stops along your journey. You are always welcome to tip more when the service is excellent, and when you do, you are sure to see the red carpet treatment all the way. Enjoy your vacation, and don't forget to tip! Q. What is the food like in Costa Rica and Nicaragua? A. A traditional Costa Rican breakfast consists of "gallo pinto" (black beans and rice), eggs, tortillas and sour cream, with coffee and fresh fruit juice. A typical Costa Rica lunch known as "casado", includes: rice and beans, one choice of meat (beef, chicken, pork, or fish), salad, fried plantains (a type of banana, very sweet and very tasty). Dinner is pretty much whatever you like, and fish and seafood here is excellent, well priced, and fresh, as are the fruits and vegetables. The basic staples of the Costa Rican diet are: rice, beans, and tortillas, which consist primarily of corn. The ingredients used by Costa Rican cooks include simple native foods, such as chayotes, avocados, and the ever present corn. Costa Rican cuisine is also characterized by its' mildness and comes as a surprise to many North Americans who might have traveled through Mexico and expect to find the same love spicy chilies in Costa Rican foods. Chilies are used to some degree, however, they are most commonly used in hot sauces with accompany broiled meats and poultry. Tubers, such as sweet potatoes and cassava, commonly known as "yuca" frequently accompany lunch and dinner meals. In many dishes yuca is often substituted for potato, perhaps boiled and mashed, fried to exquisite crispness to accompany meat and sandwiches instead of fries, or simply boiled and served with butter and garlic. Plantains, a type of banana, are another Costa Rican favorite, and are most often boiled, mashed, stuffed with cheese, or fried to accompany meats or bean dishes. Unlike bananas, plantains are much larger and need to be cooked to be eaten. The Nicaraguan culinary art dates back to the pre-Colombian times, as you can tell by the names of the most known plates. Back then, during colonial times, the peculiar, creative, and varied Creole menu was the result of the union of these two races. In this type of food, ranging from soups and meats to a diversity of sweets, interesting ingredients are used. Since its origin, the fundamental basis of Nicaraguan gastronomy has been corn. Thus, its wide usage and derivatives constitutes the culinary inheritance left by indigenous tribes that lived in the area. This fact explains the similarities between the typical Nicaraguan food and those of other countries in the Central American region and Mexico. We all were sons of corn. Corn, as ingredient, has many different uses: lots of drinks are made from corn, such as Chicha and Pinol; as well main dishes such as Nacatamal, Indio Viejo, and Sopa de Albondiga; and snacks and sweets such as Atolillo and Perrereque. There are also other ingredients widely used in the Nicaraguan kitchen, mostly local, tropical products. Nevertheless, Nicaraguan culinary creativity is meticulous and open, which enables the utilization of ingredients used all around the world such as tomato, onion, garlic, flour, rice, orange, mustard and mayonnaise, milk and cheese, vanilla, cinnamon, and more. There are a lot traditional Nicaraguan dishes and each region, according to geographical and cultural characteristics, produced various dishes, drinks, and sweets. Throughout the years however, those dishes became known in the whole country. Some cities still are recognized as the ones that originated some of theses specialties, but most of these passed on to become national dishes. Due to their geographical location and climate, both countries have a wealth of fruits and vegetables and calorie counters may prefer a tropical fruit plate of papaya, watermelon, pineapple, banana, and in season mango or cantaloupe. 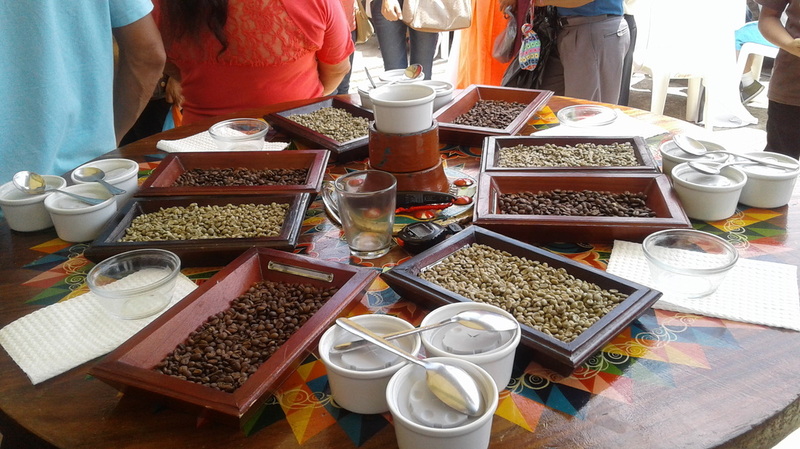 Costa Rica and Nicaragua produce some of the finest coffee in the world so make sure to try some and take some home with you. Q. What air carriers fly to Costa Rica and Nicaragua? A. U.S. carriers include; American, Jet Blue, United, Southwest, Copa, Delta, Spirit, Avianca, and TACA the official Costa Rican carrier. Q. What should I pack and what kinds of clothes should I bring? A. Pack light: Baggage carts are scarce at airports, and luggage restrictions are tight. Bring comfortable, hand-washable clothing. T-shirts and shorts are acceptable in the cities during the day, but if you plan to go out in the evening, slacks are highly recommended as some restaurants won't admit you in shorts or sandals. Loose-fitting long-sleeve shirts and pants are recommended if you take any day trips out to smaller towns, where immodest attire is frowned upon. Bring a large hat to block the sun from your face and neck. Pack a light sweater or jacket for cool nights in the higher elevations and early mornings and for trips up volcanoes. Sturdy sneakers or hiking boots are essential if you plan to do a lot of sightseeing and hiking. Waterproof hiking sandals or other footwear that lets your feet breathe are good for strolling about town, and also for beach walking, fording streams, and navigating the myriad mudholes you'll find on rain and cloud forest trails. Q. We have read in our guidebooks that driving in Central America is not really recommended. A. Don't be misled by the information in the guidebooks about driving here. Although there are certain hazards to consider - the potholes and aggressive drivers being the primary ones, you shouldn't have any problems if you stick to some good defensive habits and a healthy dose of patience. Also, our traffic police are not prone to harass tourists nor extort bribes. Q. I know why I'm attracted to Costa Rica and Nicaragua but can you tell me what are some of the top reasons that people choose to visit? A. The majority of visitors come seeking the beaches and water related sports as demonstrated by the fact that 76.6% of exiting respondents have listed that as activities they participated in during their stay. 67.3% participated in the observation of the flora and fauna, of which we assume a majority visited one or several national parks or reserves. Q. What is the difference between a Cloud Forest and a Rain Forest? A. Actually what is commonly known as a "cloud forest" is an example of "lower mountain rain forest" which are found around the very tops of volcanoes. Here the forest has shrunk in stature, with the canopy at 35 to 30 meters tall, but with occasional oaks reaching upwards of 50 meters at the lower altitudes. Buttresses on trees are uncommon, and the understory is dense. The ground is covered with moss and herbaceous plants. The higher you go, the colder and mistier it gets, eventually stunting the plant growth enough to create "elfin forest". The tropical wet forest or "rain forest" is the most species-rich life zone in Costa Rica. The forest is tall and evergreen and has distinct layers to the vegetation. Canopy trees are 45 to 55 meters tall, with some emergents even larger. Trees tend to have high, well-developed buttresses. Subcanopy trees are 30 to 40 meters tall, and have narrow conical crowns and slender boles that are often twisted or crooked. Stilt-rooted palms are often abundant. There are lots or dwarf palms in the shrub layer. Q. I can't find the information I need. Can I email you with my question? A. That's just what we do, provide you with one-on-one travel assistance based on our years of living and working in Costa Rica. Q. How do I reserve a room at a hotel listed on your site? A. E-mail or call us and tell us what dates you're interested in reserving and what types of accommodations you require. One of our travel counselors will respond with availability and price information within 24 hours. Q. How do you select which places to list or recommend on your site? A. All the listings and recommendations come from our on site inspections conducted regularly to ensure that all of the places selected adhere to the highest standards possible. If you disagree with any of our assessments, please write to us. We welcome your input. Q. What if I know about a great place you don't cover? A. We're always on the look-out for terrific new finds, and we also need to know if you've had an unpleasant experienced at a place that we list in our directory, so please write to us. Q. Something on your site is incorrect -- how do I tell you? A. We really want our information to be as accurate as possible, so please do write to us about errors -- we make corrections on a continual basis. Email or call us and we’ll correct it right away. Q. How can I get you to list my business on your directory? A. If you would like to be considered for evaluation, email or call us.